An advocate for decriminalization, Marley will greet fans in the Expo Hall and join in at the after-party on March 4. 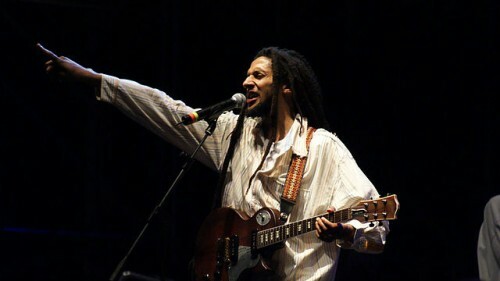 His appearance is part of a nationwide campaign to launch the Julian Marley JuJu Royal brand, which includes premium flower, oils, edibles, beverages and merchandise that have all been hand selected by Julian Marley. Attendees of the California Cannabis Business Expo can check out JuJu Royal in booth 807 of the Expo Center. JuJu Royal products are available in select legal cannabis dispensaries in Washington, Colorado, Oregon and California. The California Cannabis Business Expo follows MJIC Media’s inaugural event, theMarijuana Investor Summit in Denver in April 2014, which drew more than 1,000 people and 100 exhibitors. The California Cannabis Business Expo in San Francisco is a unique opportunity to learn about the state of cannabis in California directly from those shaping the legal landscape. Tickets to the California Cannabis Business Expo in San Francisco can be purchasedonline.